My trusty Babyliss curl press curlers took a turn for the worse last year. Obviously I was devastated. You know how it is, you fall in love with one product use it over and over again for years until it literally falls to pieces. I probably had these for 10 years (honestly). I decided to stick with Babyliss when getting some new ones because it is a brand I can trust. The new technique took some getting used to as I was used to a different method. I still burn my fingers occasionally (it does come with a glove by the way!) but the tip of the wand does not get hot so this aspect is useful for maneuvering the wand. The curl result is loose and natural so don't expect tight curls. The results are really long lasting and my hair is still curly days later. My hair is long, quite thick (and sometimes bushy - kinda Hermonie style some mornings). After a little patience and practice I adapted to the new technique and results are fab - i'm really happy with the BaByliss Diamond Radiance Tousled Hair Wand! The temperature option is brilliant. I don't like using super hot tools on my hair so I always use the lowest setting which is 165 degrees on this, the maximum temperature is 210°C. I always use heat protection spray to protect my hair (Lee Stafford Poker Straight - it smells so sweet and I find this doesnt affect the curl, available from Boots for £5.99). The ceramic is luxuriously smooth with a diamond infused ceramic finish and they heat up so quickly, a whopping speed of 40 seconds - perfect for those mornings when you're running late. The cord is long too which is an added bonus. I use quite big sections of hair to keep it loose but the smaller the section of hair used the curlier your hair looks. Sometimes I throw some hairspray in afterwards (definitely when going out!) but for every day I normally don't bother as I like a natural look. I hold the section of hair in place for only 10 seconds then divide the section up with my fingers. I have read a few reviews where people with fine shorter hair haven't got on very well with curling wands. I believe this is because my hair already has a natural curl so genetically it's inclined to curl and maintain the curl. Here are the beauties: I purchased mine from Argos, they have them on offer too at £24.99. 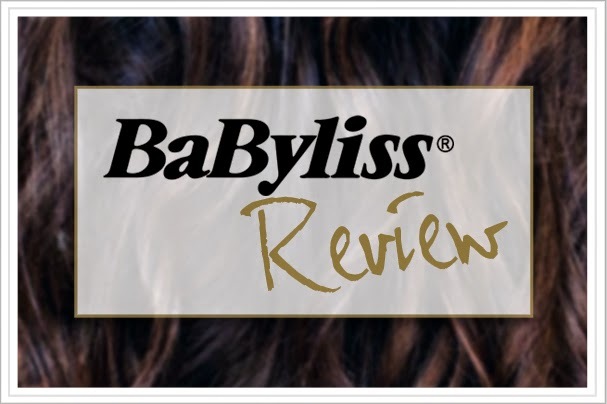 I love the BaByliss Diamond Radiance Tousled Hair Wand and I can see me using this until it falls apart! Best bits: Great long lasting results and quick results plus rapid heat up time. Variable temperature so you can adapt this to your specific hair needs for ultimate control with 5 temperature settings. Use it if you want beautiful loose waves.